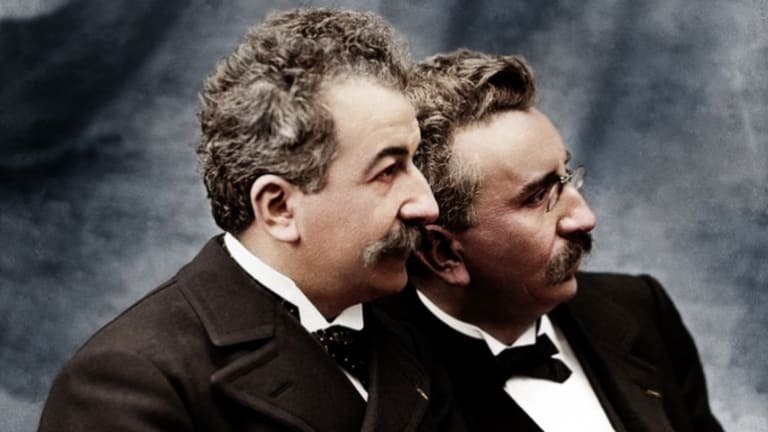 Take a look back at the Lumière brothers and their groundbreaking invention, the Cinématographe. After his father, Antoine, a well-known portrait painter turned photographer, opened a small business in photographic plates based in Lyons, Louis Lumière began experimenting with the equipment his father was manufacturing. In 1881, 17-year-old Louis invented a new “dry plate” process of developing film, which boosted his father’s business enough to fuel the opening of a new factory in the Lyons suburbs. By 1894, the Lumières were producing some 15 million plates a year. That year, Antoine Lumière attended an exhibition of Edison’s Kinetoscope in Paris. 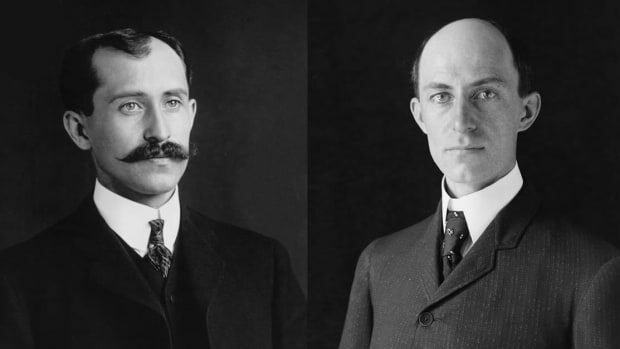 Upon his return to Lyons, he showed his sons a length of film he had received from one of Edison’s concessionaires; he also told them they should try to develop a cheaper alternative to the peephole film-viewing device and its bulky camera counterpart, the Kinetograph. 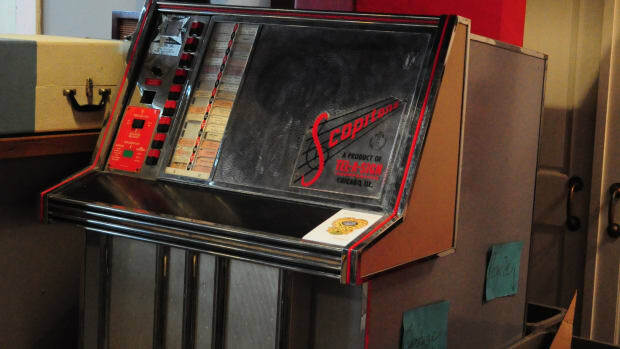 While the Kinetoscope could only show a motion picture to one individual viewer, Antoine urged Auguste and Louis to work on a way to project film onto a screen, where many people could view it at the same time. 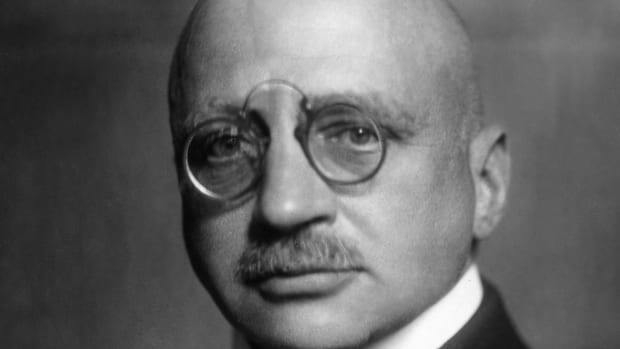 Auguste began the first experiments in the winter of 1894, and by early the following year the brothers had come up with their own device, which they called the Cinématographe. Much smaller and lighter than the Kinetograph, it weighed around five kilograms (11 pounds) and operated with the use of a hand-powered crank. 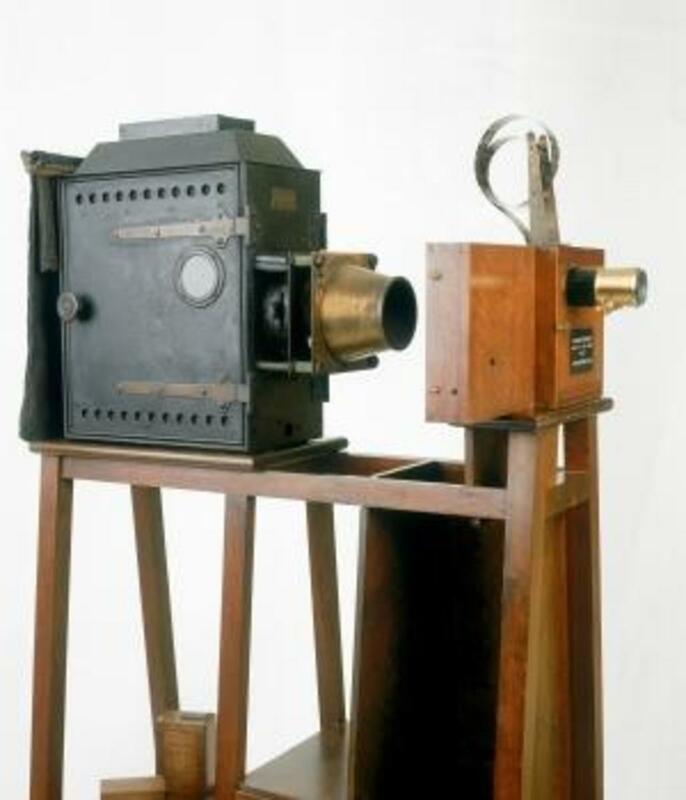 The Cinématographe photographed and projected film at a speed of 16 frames per second, much slower than Edison’s device (48 frames per second), which meant that it was less noisy to operate and used less film. The key innovation at the heart of the Cinématographe was the mechanism through which film was transported through the camera. Two pins or claws were inserted into the sprocket holes punched into the celluloid film strip; the pins moved the film along and then retracted, leaving the film stationary during exposure. Louis Lumière designed this process of intermittent movement based on the way in which a sewing machine worked, a tactic that Edison had considered but rejected in favor of continuous movement. A three-in-one device that could record, develop and project motion pictures, the Cinématographe would go down in history as the first viable film camera. Using it, the Lumière brothers shot footage of workers at their factory leaving at the end of the day. 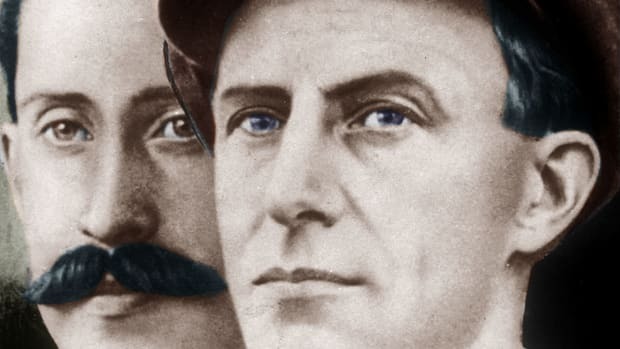 They showed the resulting film, “La Sortie des ouvriers de l’usine Lumière” (“Workers Leaving the Lumière Factory”) at an industrial meeting in Paris in March 1895; it is considered to be the very first motion picture. 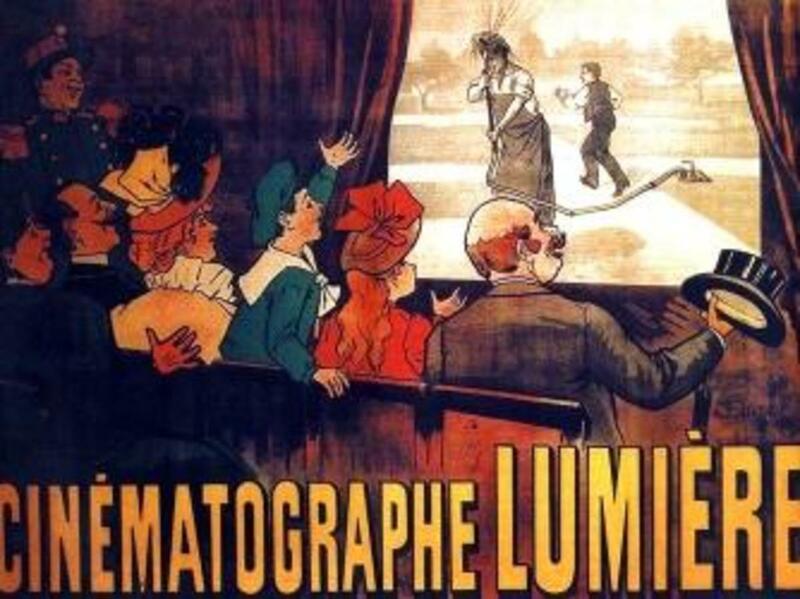 After a number of other private screenings, the Lumière brothers unveiled the Cinématographe in their first public screening on December 28, 1895, at the Grand Cafe on Paris’ Boulevard de Capuchines. In early 1896, they would open Cinématographe theaters in London, Brussels, Belgium and New York. After making more than 40 films that year, mostly scenes of everyday French life, but also the first newsreel (footage of the French Photographic Society conference) and the first documentaries (about the Lyon Fire Department), they began sending other cameramen-projectionists out into the world to record scenes of life and showcase their invention. By 1905, the Lumières had withdrawn from the moviemaking business in favor of developing the first practical photographic color process, known as the Lumière Autochrome. Meanwhile, their pioneering motion picture camera, the Cinématographe, had lent its name to an exciting new form of art (and entertainment): cinema.